Today, not only Ukraine but, in fact, the entire world lives in the situation of turbulence. The world community is in a dual state – between the hybrid world and the hybrid peace. This fact is reflected, first of all, in existing approaches to conflict resolution both between subjects of international law and within them. The experience of seemingly various forms of “peacemaking” (in the post-Soviet space from Transnistria to Karabakh) shows that international structures tend primarily to such options as “freezing” of conflicts, translating confrontations from the military showdown to political-diplomatic form. It is a kind of “healing” of the disease by its transformation from the acute form to the chronic phase; it rarely leads to recovery, but fraught with complications in the future. The key problem of the “external” (international-institutional) security contour is that virtually all international structures that claim to ensure international security are the result and continuation of the Cold War era and the bloc confrontation. Meanwhile, today we live in a completely different world: the structure and the system of relationships in the world should now be considered in the context of the paradigm of “hybridity” – both war and peace. In many respects, it determines the “horizon of thinking“, in which it is possible to understand and assess the current situation meaningfully, in particular, in Ukraine, and the prospects for its development. We are in a situation when the traditional threats to the world order have changed (mutated) and have emerged entirely new threats, which previously have not been in the focus of our attention. This situation requires urgent reform and actualization of existing systems for ensuring international and regional security. The very fact that terrorism is modifying and becoming more complex is of great importance. The terrorist organizations unite, become more complex and very successfully oppose the government law enforcement agencies in various countries, seizing and controlling entire regions (for example, IGIL). But in addition to this the states themselves are actually becoming “terrorist states”, and terrorist organizations are becoming their “external” paramilitary structures, instruments for the realization of geopolitical claims and ambitions. The Russian Federation, realizing the aggressive foreign policy of the current regime in different regions of the world, has turned into a STATE–TERRORIST. The Russian leadership supports the policy of not only terror, but also terrorism, both against the population of Ukraine and Syria, and against their people. The variety of methods and mechanisms that the Russian Federation uses is shocking. It uses such elements of pressure on Western countries as hacker attacks, interference in the election process, flows of refugees from Syria, blackmail, intimidation with weapons of mass destruction, energy pressure, manipulative information technologies. The essential dimension of “hybridity” (in its applied, confrontational sense) is the gradual blurring of boundaries and brinks between “military” and “non-military” components and dimensions of the confrontation itself and its contexts. “Hybridity” is manifested in the combination of the military operations with economic, informational, political and diplomatic blows to the opposite side and its partner countries. It creates a “synergistic” effect, whose destructive consequences far exceed the traditional forms of conducting the “declared” war. The Russian Federation conducts a hybrid war not only against Ukraine but also against all democratic countries. The presence among the democratic countries of influential “clubs of Putin’s friends”, which are amplified in many European countries, is hazardous. The security of Europe is threatened not only by wars and terrorism but also by various emergency situations, international crime, etc. The existing international structures (institutions) are not able to adequately counter them, even though the EU is gradually becoming a kind of collective security system that can complement NATO in the European region. Unfortunately, it was Ukraine that became the foothold where the aggressor is honing his military, political and information technologies. And that’s why just here, in Kiev, we must discuss the consolidation of our efforts, the all-European strategy of defense. In the course of our dialogue, we have to work out common security policy, on which today depends the future not just of Ukraine but also Europe, and the stable, steady development of the world economic system. We have found the strength and courage – without having an army, with a completely unbalanced economy – to repel a well-prepared, strong, technically equipped enemy! According to the Ministry of Internal Affairs at the temporarily uncontrolled territories of Lugansk and Donetsk regions under the guise of the paramilitary troops of the so-called “DNR” and the “LNR” is located the task group of the Russian occupation forces including the first and second Army Corps. The first one is Donetsk; the second one is Lugansk. These Corps are assigned to the 8th Army of the Southern Military District of the Russian Federation and consist of the local population, mercenaries and regular military servicemen of the Russian Federation. The authorized strength of these Corps amounts to 35.5 thousand. In their arsenal: 478 tanks, 848 armored cars, up to 750 artillery systems and mortars, 208 multiple-launch rocket system, 363 anti-tank weapons, 419 air defense weapons. And we in the spring of the 2014th had only three weapons: the moral courage of the Dobrobats fighters, the selflessness of the volunteers and the team of state managers who could not let their country die! As Golda Meir had precisely formulated: “We had a secret weapon – the lack of an alternative”! We have stopped the enemy. But it is our common cause – to stop an unprecedented, insidious, based on lies and fakes hybrid war! Today, the most important priority of the security policy is the development and strengthening of the security and defense sector. The future of our state, its sovereignty and territorial integrity, and hence the stability and security of Europe, largely depends on the combat capability of the Armed Forces and the efficiency of law enforcement agencies. It is time to recognize that the Minsk agreements have exhausted their peacekeeping potential. The urgent task now is to work out a new format for resolving the conflict and restoring sovereignty over the temporarily occupied territories. Obviously, the time has come to work out a new, more effective strategy for resolving the armed conflict as well as a detailed plan for a phased restoration of Ukraine’s sovereignty and territorial integrity. We propose a strategy of de-occupation and reintegration of the occupied territories of Donbas by the SMALL STEPS MECHANISM. Ukraine is already moving in this direction. I mean the Law on De-occupation and Reintegration of Donbas, as well as the National Security Bill No. 8068, which will allow to improve the effectiveness of state policy in the sphere of national security and defense and ensure timely and effective response to threats. The adoption of the Amnesty Law, which will affect the majority of people living in the occupied territory and involved in the conflict. Amnesty will not cover only those persons who have committed serious offenses or war crimes. Amnesty will not cover those persons who have “blood on their hands”. As to these persons, criminal proceedings must be opened, and the measure of their guilt will be determined by the Ukrainian Law. The adoption of the Law on Collaborators. It should be officially stated that legally every citizen of Ukraine is endowed with all civil rights under the Constitution of Ukraine. And then, using the mechanism prescribed in the Law, it will be necessary to determine the status of each citizen: whether he/she is a victim of the occupation regime (the majority); or a participant, who by virtue of circumstances cooperated with the occupation regime; or a criminal who killed our soldiers and participated in repressions against civilians. Accordingly, the Law should determine the degree of public response to the relevant status of each person. The equally important preparatory factor is a carefully designed communication strategy to explain people within Ukraine our plans! 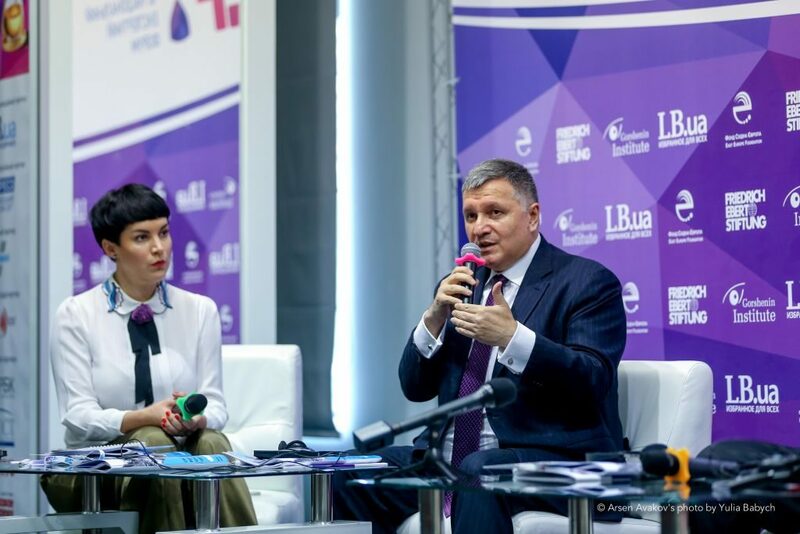 It is necessary to achieve people’s understanding and to get support from the civil society of Ukraine, since only the consolidation of the entire Ukrainian people and the transparency of all processes will allow the program to be fully implemented, including unpopular but necessary measures. The deployment of an international peacekeeping mission, the definition of the status and order of involvement of international regulatory forces, the program of international monitoring, advisory and resource assistance is also an integral step in the implementation of the de-occupation and reintegration phase through the Small Steps Mechanism. A separate area (district) of the occupied territories of Donbas is chosen and agreed upon, and the opposing military formations at this area are withdrawn behind the agreed line; thus, a demilitarized security zone is created. For the simultaneous de-occupation and reintegration of all temporarily occupied territory of the Donbas, it will be necessary to find and enter in Ukraine from 20 to 40 thousand peacekeepers. Since it is impossible, it is proposed to start from a separate city or district (for example, Gorlovka and/or Novoazovskiy district). In the rest of the territory, law and order are provided by the National Police and the National Guard of Ukraine together with the “blue helmets”. At the very first stage, it is possible to involve also volunteers from among the local population, representing local village and settlement councils. Within the liberated territory, the Ukrainian judicial authorities conduct preparations for the electoral process and subsequent local elections in accordance with Ukrainian legislation. It is not important who wins this election; it is fundamentally important that the process is conducted by Ukrainian legislation with guarantees of free will. Even if they choose a candidate with frankly pro-Russian views, in the strategic perspective, after the conflict resolution processes are completed, this issue will be balanced in the coming years. Immediate work is being carried out to eliminate technogenic and environmental risks and threats. The area of combat operations is always becoming a zone of ecological disaster due to the destruction of soils, local flora and fauna, and contamination of the territory. When it comes to the Donbass, one should additionally take into account the specifics of the region, in which there are numerous mines, enterprises (including chemical ones), and 1,200 sources of ionizing radiation. All of them constitute a threat of pollution of sources of drinking water, epidemics, emissions and explosions of methane and other harmful substances. The ecological catastrophe of Ukraine will be an ecological disaster for the whole of Europe! (Annex 1). An urgent program is launched to check and restore Ukrainian documents for all people who have lived these years in the occupied territory. To teach, train, inform policymakers, practitioners, students and the public about the challenges of conflict prevention, management, and resolution and how to respond to those challenges. possibly, the creation of free economic zones for the restoration of the economy of Donbas. Work is being carried out to return internally displaced persons, e., to foster internal migration of the population to areas abandoned due to hostilities. 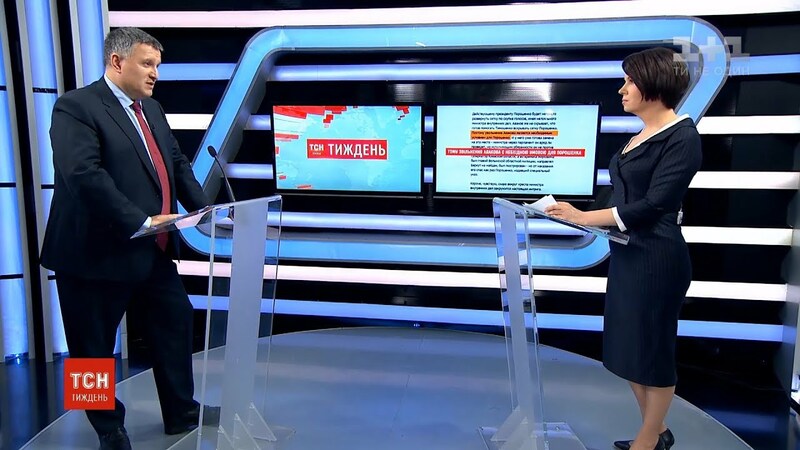 It should be taken into account that the return to Donbass of people who have lived for several years not covered by the toxic Russian propaganda will help restore the confidence of the local population to the Ukrainian authorities and to some extent facilitate reintegration. The participation of citizens residing in the previously occupied territories in elections to the central authorities of Ukraine is resumed, but not earlier than in 3-5 years. Elections can only be conducted in the demilitarized territory. They can not take place in the absence of a sufficiently secure environment and capable institutions. In Croatia, Bosnia, Kosovo, and Liberia, elections took place after the establishment of effective control over the border crossing (2-5 years after the end of conflict). The most appropriate time interval between the ceasefire and the conduct of elections is three years. If elections are held less than two years after the ceasefire in the case of young democracies, and in less than one year – in the case of developed democracies, this leads to the resumption of armed confrontation. As a result of the implementation of the Plan, the systemic work of the authorities is restored on the liberated territory, the quality of life of people is improved, security and law and order are ensured, and all livelihoods processes are normalized. A normal peaceful life returns to the war-torn cities and villages. Further the project is scaled to the neighboring districts. Moreover, each next stage of de-occupation and reintegration will be easier, because residents of liberated cities and villages will become “agents of influence”, an example and a model for their neighbors. We understand that the liberation of the territory of the Donbass and the restoration of control over the eastern border will be a police operation involving the peacekeeping forces, not the military one. The forces of the Ministry of Internal Affairs: the National Police, the National Guard, the State Border Guard Service, the State Emergency Service, and the Migration Service are preparing for this option; each of our services is already developing a Strategy for the reintegration of these territories within its remit. As soon as the war leaves this land, our services will be ready to immediately begin to perform their functions taking into account the peculiarities of the situation. 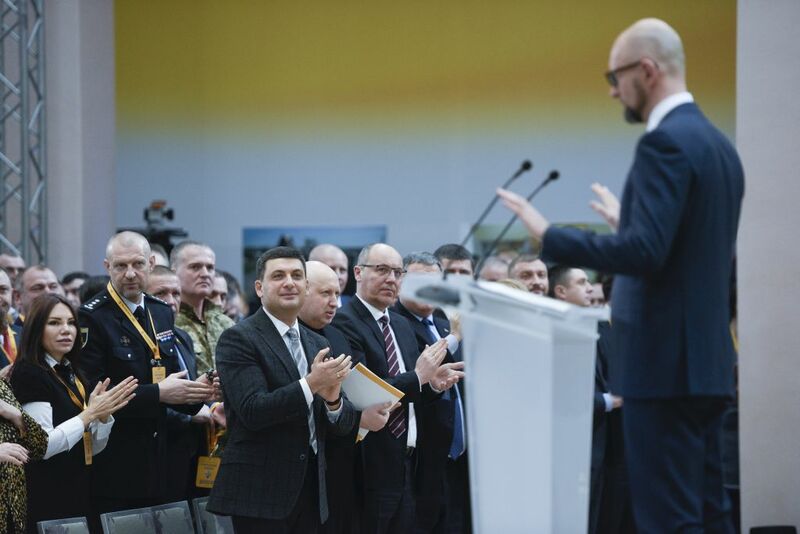 And it is our National Police, the National Guard, the Migration Service, and the Service Centers that will be for the local population the bearers of the ideology and positive changes that had occurred in Ukraine when these territories were torn from us. We must demonstrate positive changes, bring peace, security, and open, friendly European Ukraine to this land! And this is also our common task! Let’s work out this plan together – and the world will become more harmonious, capable of development and economic prosperity! The Ministry of Internal Affairs and its structures (NPU, NGU, SBGS, SES) can be considered the key tools and mechanisms for implementing this plan, and they can play proactively to oppose the strategies of the increasingly complex “hybrid war” against Ukraine. Here we have a special role as the active subject of countering the “hybrid war” and pro-active guarantor of social stability. Ukraine needs to regain territorial integrity and sovereignty over the occupied territories of the Crimea and the Donbas. And we must achieve this not by appeasing the aggressor, but by a series of progressive steps and reasonable compromises. We will return not the territories but people! These people are traumatized by Russian propaganda and the bandit regime, thus so much depends on what State they will return to, what State they will see. There is no doubt that the “hybrid war” will end sooner or later. However, the problems that have been already generated and are still generating by it will not disappear. Rather, on the contrary, they will enter as important components into the specific phenomenon of the “hybrid peace”. And both Ukraine and the world community will have to learn how to answer the challenges of this peace including manipulative information technologies, hacking, economic blackmail, various manifestations of terrorism. The world has changed forever. Therefore, our strategic task is to prepare for the oncoming “hybrid peace” in the situation of the ongoing “hybrid war”, expanding the scope from the awareness of the problem to the development of new effective prevention mechanisms. As the Strugatsky brothers wrote in their novel “The Ugly Swans” (1967), “the future is a thoroughly neutralized present”. The global security system should be built today precisely to provide for such future.